Buying a home is considered to be part and parcel of the American Dream. In this country, purchasing a home is one of the most effective paths to wealth building wealth there is. At the same time, owning a home is a mark of independence, and an investment in future growth and stability. However, almost as common as lofty dreams of homeownership are the financial setbacks that millions of us endure every day. For many people, severe indebtedness is a very real problem. From homeowners, to renters, to retirees, and everyone in between, millions of Americans struggle with debt, to the point that it affects not only their financial life, but their day-to-day well-being. For those individuals struggling with debt, bankruptcy may be a pragmatic way forward. For many people, filing for bankruptcy can be an effective way to hit pause on debt collection, offering immediate relief. Down the line, bankruptcy can offer debtors the opportunity to discharge certain existing debts entirely, and to restructure others so that they are less of a day-to-day or month-to-month burden. In short? Bankruptcy can be an effective way to hit “refresh” on your financial life. With that said, it’s important to understand that bankruptcy is not a one-size-fits-all solution – and that it will impact your life in some significant ways. At the same time, though, there are many myths and misconceptions out there about bankruptcy, causing many people to believe that it is far more intimidating than it truly is. Many people, for instance, believe that filing for bankruptcy will permanently impact their ability to attain a mortgage or purchase a home. In reality? Bankruptcy is about helping people regain their ability to participate in the economy. It’s about making it easier to become an active consumer – not more difficult. So with that said, many, many people go on to become homeowners after bankruptcy. Indeed, filing for bankruptcy may be a more effective solution than continuing to suffer in debt, or face the very real possibility of foreclosure or litigation. Chapter 7 bankruptcy is also known as “liquidation” bankruptcy. In this arrangement, the debtor may liquidate some or all of their nonexempt assets in order to quickly pay down their debts, while also having many of their unsecured debts discharged altogether. Generally speaking, most Chapter 7 bankruptcy cases take several months to complete, with a record of bankruptcy remaining on the filer’s credit record for up to ten years from the date of filing. Conventional Loan: You can think of a conventional loan as a mortgage granted by a bank or a lender that is not secured by the federal government. 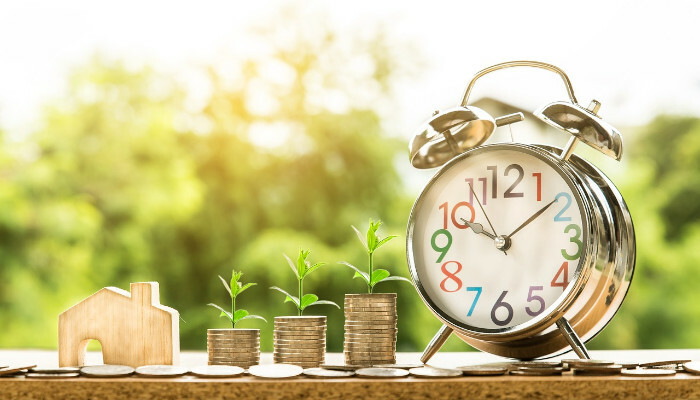 While many mortgage lenders and banks will have different standards, generally speaking, consumers will have to wait about four years to receive a conventional loan, in most cases. However, you may be able to secure a loan sooner (say, within two years), if you can prove that the bankruptcy was due to factors beyond your control (such as a natural disaster or an unexpected critical illness). FHA Loan: An FHA loan is designed for first-time homebuyers and those with poor or no credit. These loans are offered through the Federal Housing Administration (FHA), part of the Department of Housing and Urban Development. Broadly speaking, the FHA will consider mortgage applications two years after the discharge date of a Chapter 7 bankruptcy. You will likely need to be able to show a positive credit history for this “seasoning period.” Again, you may also be able to apply earlier (say, within 12 months) if you can prove that the bankruptcy was due to matters beyond your control. VA Loan: Veterans Affairs (VA) loans are intended for current and retired members of the armed forces. Generally speaking, you must wait two years after the date of the discharge for your Chapter 7 bankruptcy to successfully apply for a VA loan. Chapter 13 is a type of consumer bankruptcy that is also known as a “reorganization” or “restructuring” bankruptcy. In this arrangement, the debtor works up a repayment plan with the court and their creditors, in order to help pay off set amounts in a set period of time – often, three to five years. Broadly speaking, Chapter 13 is intended for wage earners with a regular income, who are able to pay back at least some of their debts in accordance with a structured repayment plan. The terms of this plan, including the amount paid back to creditors, will vary, depending on the person’s income, expenses, type of debt, and so on. When the repayment plan is successfully executed, the court issues a discharge order, discharging most remaining unsecured debts and ending a debtor’s liability to their creditors. This type of bankruptcy generally remains on a consumer’s credit report for seven to ten years from date of filing. Conventional Loan: Generally speaking, Chapter 13 filers must wait two years from date of discharge to apply for a conventional loan. If the bankruptcy ends without a discharge, the waiting period may increase. FHA Loan: In many cases, you may be able to secure FHA financing a year (or less) after the filing date for your Chapter 13 bankruptcy case. You will likely need to be able to prove that you’ve kept current on your Chapter 13 payments, and that you can successfully manage mortgage payments moving forward. VA Loan: Under Chapter 13 bankruptcy, you may be eligible to receive a VA loan within one year from your filing date. Now, as we mentioned earlier, it’s important to remember that the specific circumstances around bankruptcy will vary from person to person, or case to case. Remember, as well, that bankruptcy may have other effects that may impact your ability to purchase a home, and it may take some time to rebuild your credit, replenish your savings, and fully restart your financial life after bankruptcy. Similarly, it’s important to realize that the bankruptcy process can be complex and emotionally trying. Bear in mind that what comes immediately before and after bankruptcy can have a huge and lasting impact on your financial future. While it is not strictly required to bring on an attorney for bankruptcy matters in the state of Illinois, many consumers will find that this process is made easier – and, ultimately, more productive and beneficial in the long term – with the assistance of an experienced legal professional. That’s where the Gunderson Law Firm can step in. At Gunderson Law Firm, we strive to protect our clients’ assets to the full extent allowed by today’s laws throughout the complex bankruptcy process, helping them get the debt relief they not only need, but genuinely deserve. Moving through the bankruptcy process, we can also counsel you on realistic ways to avoid serious debt issues in the future. Whether you are a business owner, a wage earner, retired, or otherwise, we can address your specific situation with strategic plans to help put severe indebtedness behind you, so you can enjoy life again. Looking for a second chance? Interested in learning more about bankruptcy and realistic financial planning as a way to leave debt in the past? Drop us a line or give us a call today to get the conversation started.